The continuing technical integrity of installations requires significant attention to detail in sealing ring suitability, reliability and functional performance. Three things that can affect this performance include the choice of materials, cable sealing design, and an effective and validated testing programme. Examples of testing include thermal endurance, ingress protection and cable anchorage, twist and pull out resistance tests. CMP Products has excelled in this process and offers the widest temperature rating of any standard cable gland (-60°C to +130°C), CMP Products Cable Glands are 3rd party certified to IEC 62444, IEC 60079, UL 514B and are included in the London Underground register of products. This allows customers to make selection decisions safe in the knowledge that nothing has been left to chance. 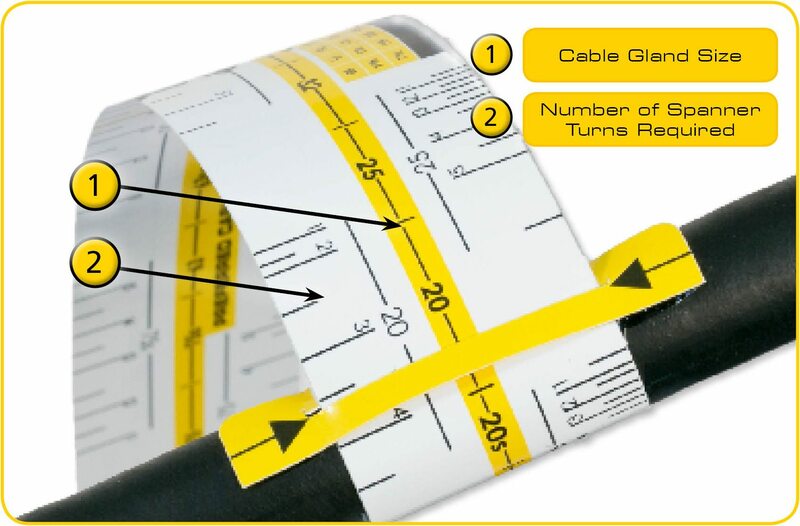 The unique CMP Products Outer Seal Tightening Guides (OSTG) shown below allows the user to determine the number of turns that should be applied to the sealing ring, in order to ensure the correct installation is achieved. The OSTG also has the added feature of verifying the recommended cable gland size for the section of cable to be used, based upon the actual cable overall diameter. 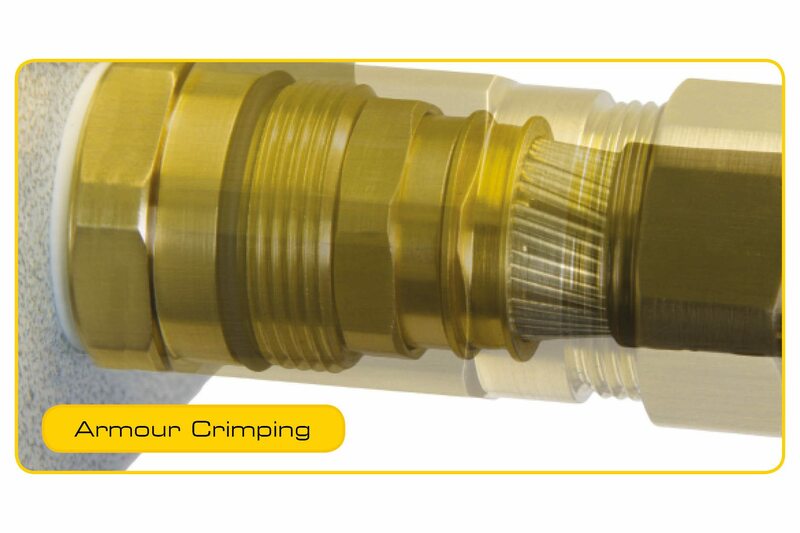 The CMP Products armour clamping technique offers a level of reliability, and inspectability, that is unrivalled. The armour cone and AnyWay™ clamping ring are designed to be fully tightened, metal-to-metal, in a ‘Right First Time’ termination that securely captivates the armour wires in the crimping process. CMP’s Cable Glands’ internal armour termination is engineered to remain secure on installation and for the life-time of the product, providing added cable security. They are designed to terminate a range of armour sizes in all available forms including single wire armour, pliable wire armour, wire braid, strip and tape armours. The specific ranges shown on the product pages of this catalogue indicate which armour cone should be used for a given armour type, size and application. CMP Products ‘SWA’ armour cone clamping ranges closely follow the specified armour wire criteria in IEC 60502-1, as well as BS & AS/NZS standards. However in cases where the cable is non-standard, alternative armour clamping components for oversized and undersized armour wires are available upon request. Potential equalisation, or equipotential bonding, could be adversely affected by cable glands that either do not clamp the armoured cables effectively, or otherwise suffer from self-loosening. The CMP Products armour clamping method ensures that a low impedance termination is created, which does not suffer from self-loosening and in turn facilitates a reliable earth path. As shown below, the armour clamping maintains guaranteed cable security and earth continuity for the life-time of the cable gland.